ClickFunnels Review - Sales Funnel Software - The best landing page builder? I read this article and found it very interesting, thought it might be something for you. The article is called ClickFunnels Review – Sales Funnel Software – The best landing page builder? and is located at https://howtogetref.com/clickfunnels-review/. It’s an all-in-one marketing system where you can start out your personal online business with a landing page, advertise your latest and upcoming products, and also collect all the potential customers’ contact information in a form. Therefore, you can make a full store website when you are ready to sell your products, and also add a marketing application to your workflow to follow up, especially with the potential customers and get them to visit your store. ClickFunnels Review – How to develop a sales funnel? ClickFunnels, designed by Russell Brunson and his team, is a sales funnel software that is relatively mature compared to the competitor’s product which enables you to create only a single standalone pages. ClickFunnels is all about creating various types of marketing funnels. Well, it’s a series of pages your web visitors go through to reach a particular goal. You can have a more sophisticated sales funnels, especially made up of various pages which sell to a new visitor through each step of the funnel. Technically, the ClickFunnels Membership site is not a funnel. Instead, it is a way to deliver you entire content to people in the unique and fun way. In facts, if you do it greatly, you will build raving customers. ClickFunnels membership Funnels usually enables you to lock particular areas of your member’s area, depending on what your clients bought, or drop the content to them depending on when they signed up, among others. Most people usually run their digital academy where you provide your people with eBooks, audio or video course and other materials. It’s often referred to as Membership sites. There are various membership systems that you can install as an add-on, especially to your WordPress website. ClickFunnels enables you to build stunning Landing Pages. 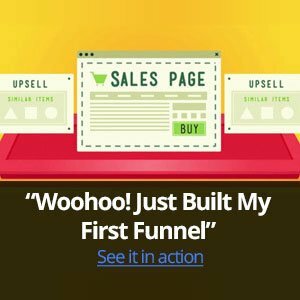 ClickFunnels makes it super fast and easy to create any Landing or Opt-in Pages. In facts, the ClickFunnels Page Editor have become more advanced, and you can use it to create your entire site. 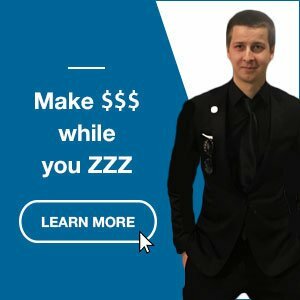 It also consists of a cool WordPress Plugin that allows you to obtain your domain in the URL, rather than using yourusername.clickfunnels.com, which is a perfect feature, especially if you are running any Facebook Ads. They also support the custom domains for those people who do not have a WordPress site. Many of you have already developed some email marketing system. If you have been undertaking email marketing for some time, you may be paying much cash. However, with the ClickFunnels’ Enterprise Plan, you get the email marketing service free. You can do pretty much everything you want for your email marketing with ClickFunnel’s system, Actionetics and Backpack feature from the premium version. The standard ClickFunnels plan is $97 per month ($297/month for the unlimited Etison Elite Suite). Once you intend to pay per year, ClickFunnels gives you a handsome discount, but they do not advertise that price anywhere on the web. If you want to subscribe their service for a year, just drop them an email. The Etison version is more beneficial because you get access to Split Testing Software, Website Hosting, Email Autoresponder Software, Landing Page Software, among others. Try it Free (14 Days Trial) Now! Your Landing Page is a doorway to your Marketing Funnel; it integrates seamlessly and allow you to create your order process, product fulfillment details, one-click upsells, down sells, Membership areas, Email autoresponder, and affiliate platform. ClickFunnels enables you to view your analytics, edit your pages with the most powerful Drag-and-Drop Editor and also publish it online in seconds. Are you already a member of ClickFunnels? Share your opinion in the comment section below. Through this ClickFunnels Review, you will learn more details about this responsive landing page builder. Is it the best landing page builder? What are the main features?